The Trouble with Tribbles is that you don't have one on your keys yet! 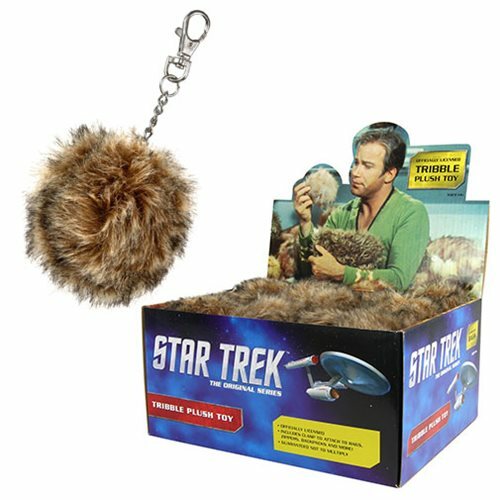 This Star Trek Tribble Plush Key Chain will delight you every time you grab your keys. Key chain is a furry plush tribble from the Star Trek series, and features a lobster clasp and chain, so it can work as a backpack clip too! Key chain measures approximately 2 1/2-inches by 2 1/2-inches. Ages 14 and up.